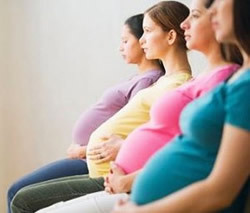 Our History | Problem Pregnancy of Worcester, Inc. 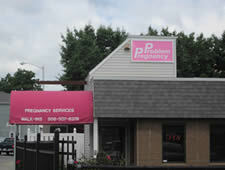 PROBLEM PREGNANCY of WORCESTER, INC. is a 501(c)3 nonprofit Mass. corporation. We organized in l982. Our purpose is to provide alternatives to abortion for the young, troubled pregnant mothers of the Worcester area. We are all volunteers. No one gets paid. We are managed by a volunteer board of directors. There is a president, treasurer, clerk and executive director, all unpaid. Our annual budget is about $150,000.00, raised through four mailings a year to our 15,000 member list of supporters. We are Christian but not officially associated with any church although we have close ties to the Worcester RC Diocese. We also have a growing Evangelical presence in volunteers and financial support. Our clients are young women (mostly from Worcester County) between 13 and 35. They are of all economic situations, colors and ethnicities. Many are single mothers already and often have almost no resources. All the current, American cultural failures show up in our clients. Our mission is a simple one. We will provide whatever a woman needs, the lack of which, is causing her to consider abortion. We focus our attention on pregnant mothers seeking abortions. We help these woman to save her child’s life and herself from a huge moral error. That entails, first, very difficult one-on-one counseling of abortion minded women and all the things that result from such counseling. Often there are underlying coincidental problems that are the real cause for the client to think about aborting her child. Our counselors identify those problems and try to solve them or at least alleviate them. Often money is the key to saving the baby’s life. Housing is often a big problem. Many women are forced from their homes by parent(s) or boyfriends because they won’t abort. Every month we pay many rents for women, often with other children. Another important problem that we alleviate is childcare for the children of our clients. Clients sometimes think they are being forced to decide between their existing, already born child and their preborn child. Although we might argue with such a stark equation, that is often how the woman sees it. We take her as she is and try to help. If she can believe that someone is really going to help her with her children’s care, she often goes through with her pregnancy. We are able to do that regularly. An allied situation is when a woman is getting no help from family with her existing children and she’s pregnant again. Recently we had a woman who because her youngest child was regularly not sleeping through the night and the client was extremely sleep deprived, she went to the abortion facility when she became pregnant again. We intervened with God’s help and paid for the existing children’s child-care. That mother delivered a set of beautiful twins. We also pay overdue bills, which become another reason for abortion. If her telephone is turned off or her electricity is cut, she panics. Another baby is not possible, she thinks. We take care of those situations and real babies live. In November of 2001 we added an ultrasound program to our services. We have trained nurses and sonographers acting with a physician’s order, providing free ultrasonic scans of our women clients and their babies. Sonograms are available only to abortion-minded and the really tough cases. With the ultrasound, we have a turnaround rate of almost 80% from wanting an abortion to bonding with their child in utero and carrying. At the same time, we also added a small chapel across the hall from the ultrasound where Mass is celebrated at least once a week. We have the Blessed Sacrament 24 hours a day and 7 days a week. Our counselors pray before counseling in front of Jesus Christ. Sometimes we bring our ambivalent clients into the chapel and pray together. Our general success against abortion is growing since we added both of these rooms. We have an organization-wide attitude that we can do something about the 1.3 million babies aborted every year. We save as many as we can, one by one. And we do it very aggressively. We fight in every legal way we can for each woman and each baby!